It's an objective based multiplayer shooter. There are 2 teams fighting each other to get there objectives. The player has to either attack and conqueror objectives or defend them. We are a group of students from the Netherlands. Our goal is to make a fun game that you can play with friends or jump in and play a short round. We wanted to create our own game within a half year. We have now worked on the project for a year and are done with ths "final" Alpha release containing 3 Classes and 2 maps. The Alpha download has been removed from the web for now due to publisher interest. We ask people not to spread it if they already downloaded it. 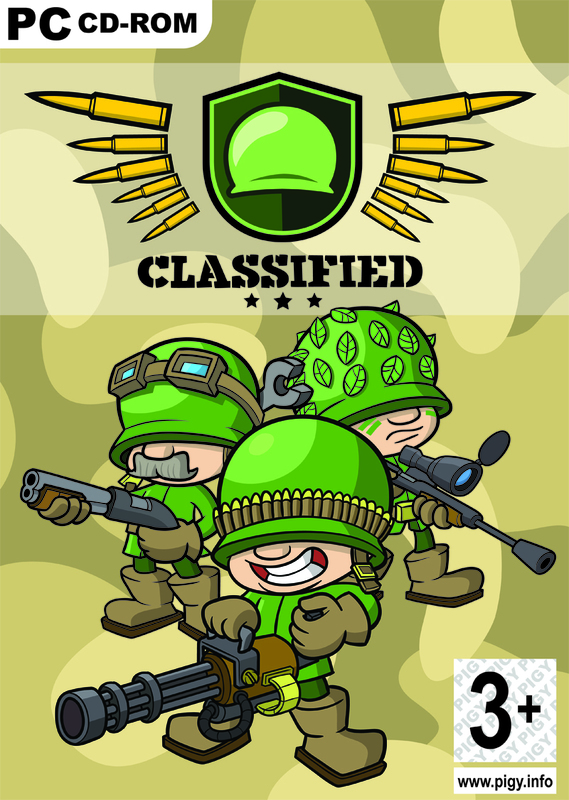 Classified Alpha Release, downloadable and playable on LAN or DirectIP. Hey guys could you make a torrent version of the download? Plzzzzzzz and I just saw the cover/box shot and ........ y is it 3+ ? Random number the box artist pulled out of a hat. No real meaning since it was just a piece of concept art and never intented to be sold. I loove the cartoony themes of the maps! you guys are pro's! great work.